Journeyman Cascade White Wood Watch - Leather Strap | Tmbr. 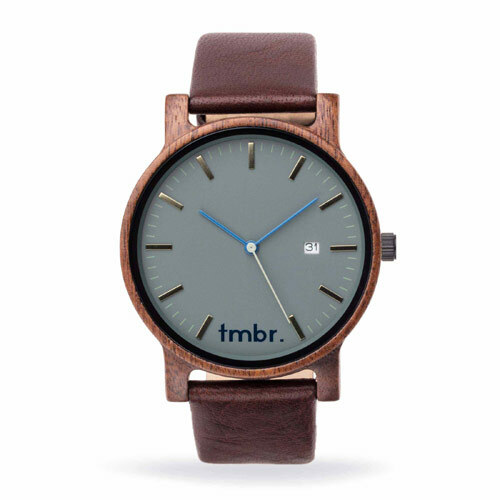 We wanted to create an everyday wood watch for the active and refined male and we believe we have done just that. 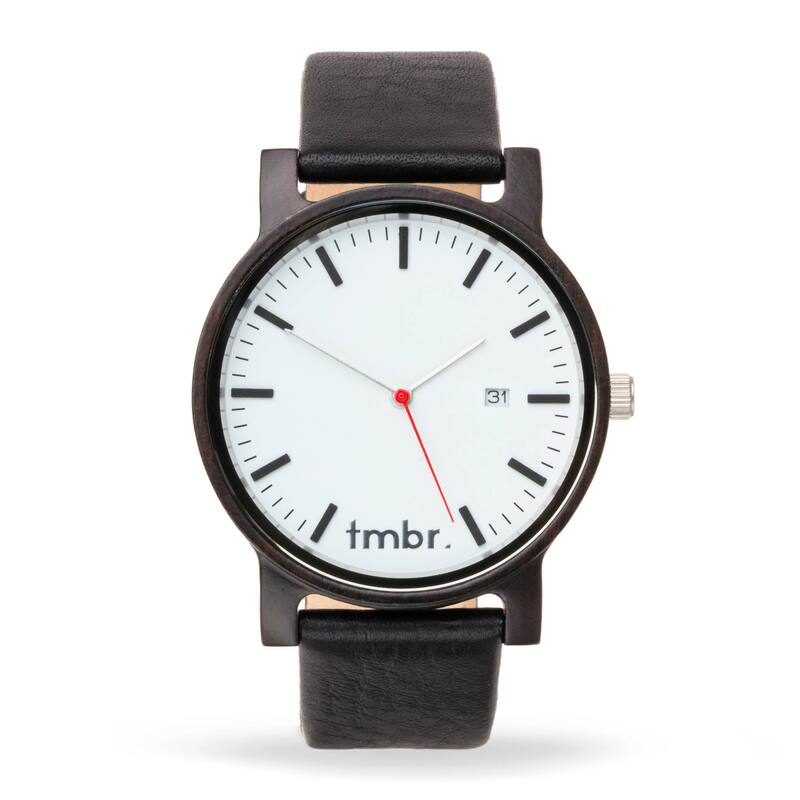 The soft, flexible and durable black leather strap offers a lightweight and comfortable fit for everyday use. The brushed silver buckle, engraved with the Tmbr. 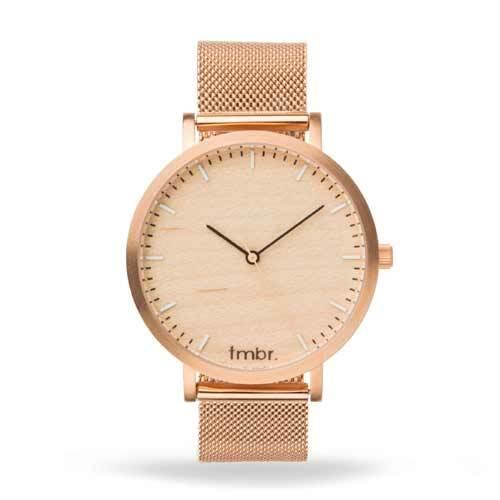 logo, securely holds the soft leather strap against your wrist. The face of the watch is simple and clean with thin black minute markers, matte black hour markers, and silver hour and minute hands. The square date window sits right next to the hour 3 marker with a white and easy to read background. Personalize your very own Journeyman Watch or have one engraved as the perfect gift. Engrave up to 10 words on the back of this watch. 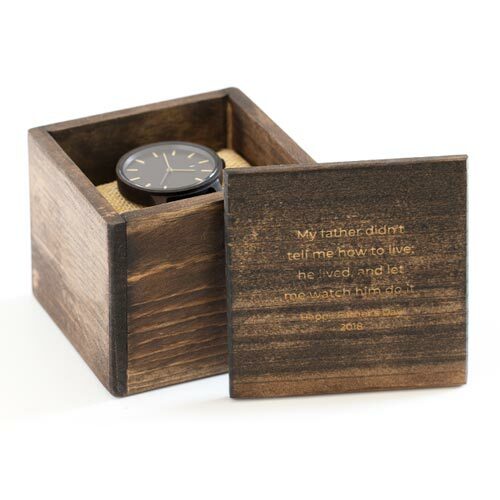 We have been engraving our wood watches for over 4 years and we take great pride in helping you create a personalized and one-of-a-kind wood watch. If you would like the engraving to be on multiple lines, please indicate that on the Order Instructions/Comments on the Checkout page. If you have any questions regarding engraving, please contact our design team at design@tmbrs.com and they would be happy to help.